When you hear about Labuan Bajo travel, one thing that will cross in mind is the liveaboard sailing trip. 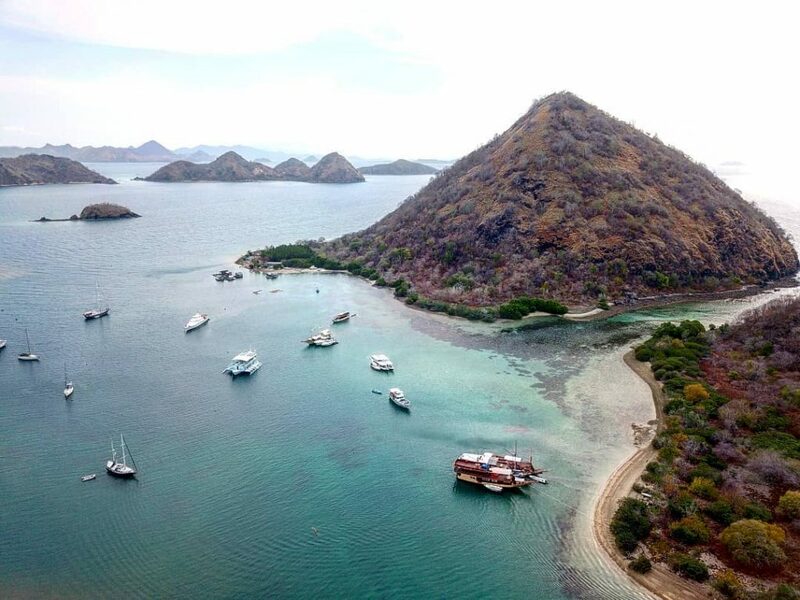 As you might have known, Labuan Bajo is not a single destination—it comprises of more than twenty little islands spreads on the aquamarine water of Labuan Bajo. Komodo Island, Rinca, and Padar Island are among the most favourite destinations. To reach these beautiful places, you need liveaboard labuan bajo—that will be your hotel, transportation, dine-in restaurant, and dive centre all at once. Labuan Bajo has abundance of liveaboard ships to choose. Finding one that suitable to your preference and budget should not be difficult. In theory. But just like any other kind of trip, liveaboard Labuan Bajo comes on its own challenges. Whether you have visited Labuan Bajo before or is Komodo-virgin, here are some insight that would be useful for Komodo liveaboard trip. Some people likes to arrange everything neatly before their departure. While generally this is a good thing (no more hassle at the time of arrival), advance liveaboard booking in Labuan Bajo is quite problematic. Here’s the thing. Unlike Bali, Labuan Bajo, Flores, is quite remote from the world—even from Indonesia, the motherland. The area is still developing; they are not as advanced as Bali in regard of tourism. Consequently, many irresponsible scammers took benefit of the situation and prey at naive travelers who know nothing yet about Labuan Bajo before. Many times, our heart sink to hear stories of travelers who fell into these scams. They look for liveaboard boats, contact the number on the websites, fully paid for everything, only to find nothing when they come at Labuan Bajo. There are many sites offering liveaboard sailing trip in Komodo, and you need to be super selective before taking one. Only choose a trusted Liveaboard Labuan Bajo that looks dependable, provide complete informations, functional inquiry form, and give quick professional response to your inquiry. As we have mentioned before, Labuan Bajo is a developing region. Think about Bali back in the 90’s. As they are still learning on becoming professional tourism, so does their English. They might speak or write in broken English, but it won’t limit communication between you and them. Only few of liveaboard Labuan Bajo provides wi-fi. Internet connection is a luxury in the middle of Flores Sea, and the service are usually only available at more luxurious liveaboard. Even when your liveaboard provides wi-fi, don’t expect a high speed connection. Prepared to be completely isolated from the world for a week—but in a land as charming as Komodo, such challenge can turn into an unexpected bless.